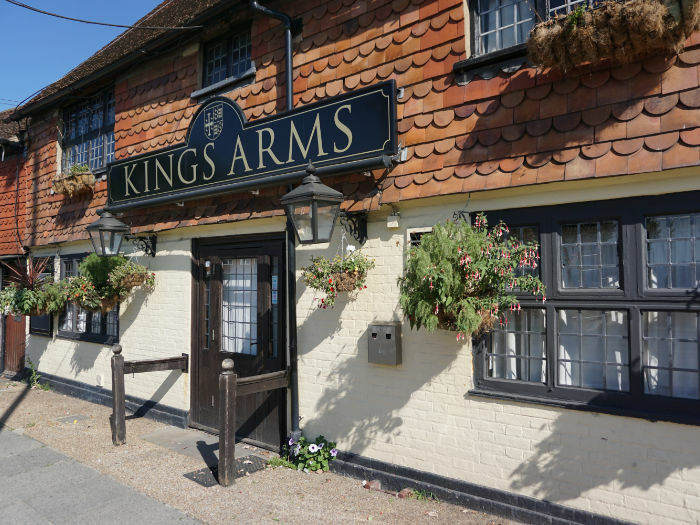 The King's Arms is a free house pub that's at least 350 years old (the building is Grade II listed). It was a King and Barnes pub (the brewery tap) and subsequently part of the Hall and Woodhouse pub estate. It became a free house in late 2017 and was refurbished in early 2018 with a re-opening on 2nd March. The pub has five hand pumps and sells several local ales including, when I visited, beers from Chapeau Brewing, Welton's and Dark Star Brewery. Update: Brolly Brewing have their Bishop's Pric ale at the pub. There are two oak-beamed bar areas with stone floors. And a wood-burning stove that makes it very cosy in the winter.